CUANDO LA GENTE SUPO QUE DAVID ESTABA ALLI, POR SU FAMA, POR SU VALENTIA, POR TODO LO QUE DE EL SE DECIA, SE JUNTARON CON EL TODOS AQUELLOS QUE SE SENTIAN PERSEGUIDOS, DESPROTEGIDOS, TODOS LOS AFLIGIDOS, LOS AMARGADO Y LOS ENDEUDADOS. EN NUESTRO TIEMPO NO EXISTE MAS LA CUEVA DE ADULAM, PERO SI HAY REFUGIO PARA TODO AQUEL QUE SE ENCUENTRA AFLIGIDO, AMARGADO Y ENDEUDADO, UNICAMENTE QUE NO VENIMOS A BUSCAR A DAVID, VENIMOS A BUSCAR A NUESTRO SEÑOR JESUCRISTO. NUESTRA CUEVA DE ADULAM ES LA IGLESIA, DONDE ENCONTRAMOS EL CONSUELO Y LA DIRECCION PARA NUESTRA VIDA EN LOS MOMENTOS DE CRISIS. CUANDO DAVID ESTABA EN LA CUEVA, ESCRIBIO EL SALMO 142, Y EN ESE SALMO ENCONTRAMOS TODO LO QUE TENEMOS QUE APRENDER CUANDO ESTAMOS AFLIGIDOS, AMARGADOS, Y ENDEUDADOS. CON MI VOZ (VS 1): UNA SUPLICA INDIVIDUAL, UN CLAMOR PERSONAL, NO TENEMOS QUE PENSAR QUE POR ESTAR EN MEDIO DE LOS NECESITADOS TODOS RECIBIREMOS RESPUESTA POR IGUAL. DIOS TIENE UN TRATO INDIVIDUAL CON CADA UNO DE SUS HIJOS, DIOS QUIERE OIR SU VOZ, NO NUESTRAS VOCES, NO PENSEMOS QUE VAMOS A DISFRAZAR NUESTRA INCREDULIDAD EN MEDIO DE LA FE DE LOS DEMAS, DIOS CONOCE SU CORAZON. DELANTE DE EL (VS 2): YA BASTA DE QUEJARNOS Y HABLAR DE NUESTRAS ANGUSTIAS CON AQUELLOS QUE NO PUEDEN HACER NADA POR NOSOTROS. PENSEMOS, DE QUE LE SERVIA QUEJARSE A DAVID CON LOS OTROS CUATROCIENTOS QUE ESTABAN CON EL SI ELLOS ESTAN TAN EMPROBLEMADOS O PEOR QUE EL. NI AYUDA A NUESTRA SITUACION NI AYUDA A LA FE DE LOS DEMAS, NOS CONVERTIMOS EN MATAFE, EL CRISTIANISMO NO SE TRATA DE DAR LASTIMA SINO DE PRODUCIR SED DE DIOS. TU ERES MI ESPERANZA (VS 4-5) : DAVID DICE MIRA MI DIESTRA, ES DECIR MIRA A MI MANO DERECHA NO HAY NADIE DE AQUELLOS EN QUIEN YO CONFIABA. MUCHOS TENEMOS PERSONAS QUE CONSIDERAMOS QUE SON NUESTRA MANO DERECHA, QUE SON NUESTRO APOYO, QUE SON NUESTRA ESPERANZA EN LOS MOMENTOS DE DIFICULTAD. 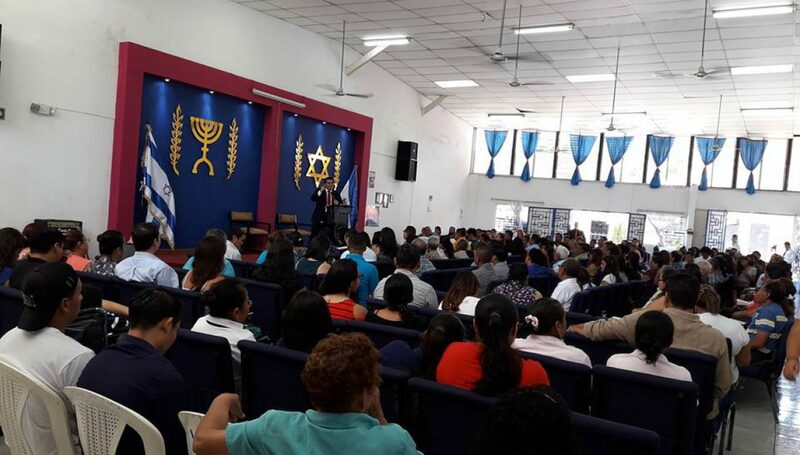 DIOS LE DEMOSTRO A DAVID QUE EN LOS PROBLEMAS, CUANDO ESTAMOS ENFERMOS, EN QUIEBRA, O CON EL MATRIMONIO DESTRUIDO NO HAY AMIGOS, NO HAY NADIE QUE NOS QUIERA CONCER, NO HAY REFUGIO, NO HAY QUIEN QUIERA CUIDAR DE NUESTRA VIDA. 6 Escucha mi clamor, porque estoy muy afligido. SON MAS FUERTES QUE YO, PERO NUNCA SERAN MAS GRANDES QUE TU MI SEÑOR! !